How Can the Fair Debt Collection Practices Act Help? Because of clear abuse and unfair debt collection practices by the debt collectors, Congress enacted the Fair Debt Collection Practices Act (FDCPA), U.S.C. § 1692 et seq. The FDCPA, was designed to eliminate unfair, deceptive, and abusive debt collection practices. It also protects debt collectors from unfair competition. Further, the act protects consumers from abuses in debt collection. The act became effective in March 1978. 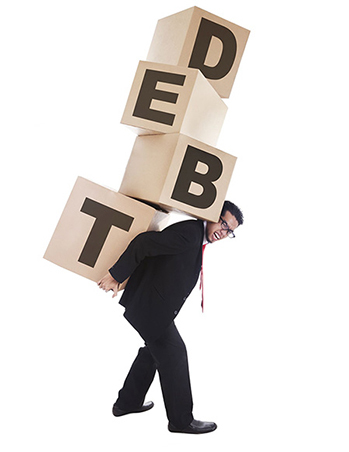 In summary, creditors are entitled to pursue collection of an outstanding debt in many ways. The creditor may attempt collection by communicating with the debtor, filing a lawsuit against the debtor, attempt possession of property, and by engaging a debt collection service. The FDCPA provides debtors with a means for determining the validity of asserted debts and for challenging payoff demands. The good news for individuals is the fact that the FDCPA establishes ethical guidelines for the collection of consumer debts. The FDCPA applies only to the collection of debt incurred by a consumer primarily for personal, family, or household purposes. The FDCPA defines a debt collector as any person who regularly collects, or attempts to collect, consumer debts for another person or institution or uses some name other than its own when collecting its own consumer debts. The FDCPA does not protect debtors from those who are attempting to collect a personal debt. For example, if you owe money to a local business, and the owner attempts to collect, he is not a debt collector as defined by the FDCPA. Specifically, this act applies to third-party debt collectors. Examples include individuals who work for a debt collection agency. A significant benefit of the Act, is the protection to debtors from harassment by such debt collectors, which often times can involve threats. Please contact our law firm if you have any questions!